Taking advantage of today’s leading edge information technologies, CoActiv offers innovative archive and disaster recovery solutions—unrivaled in accessibility, reliability, security and cost-effective pricing. In fact, CoActiv archiving is so reliable that we provide a 100% Archive Up-Time SLA (Service Level Agreement). This SLA is unprecedented in the industry. In more than twelve years of operation, none of our clients has had a second of downtime! CoActiv’s cloud-based archive stores every study in multiple geographically distinct locations to ensure protection in the event of almost any type of disaster. It’s designed to provide immediate business continuity, quickly restoring data access in emergency situations to keep the wheels of radiology turning when most other backup systems fail. As a managed service, CoActiv shifts the burden of all archive system maintenance to our own internal IT experts. Our commitment to ongoing upgrades makes technology obsolescence is a thing of the past. And CoActiv’s system can be integrated with most other PACS for only pennies per exam, offering an affordable and highly scalable archiving solution for radiology departments and practices of any size…local or enterprise. 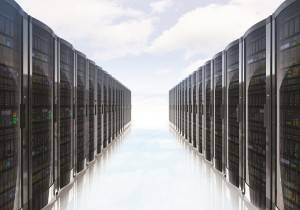 CoActiv operates two state-of-the-art datacenters housing redundant, mirrored multi-terabyte RAID arrays. 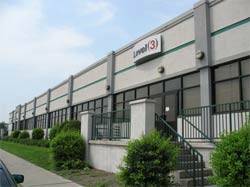 These include a CoActiv/Level (3) Communications Tier-IV center in Stamford, CT, benefiting from the resources of one of the largest communications and Internet backbones in the world. 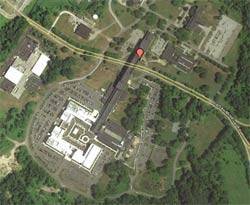 Complementing this is CoActiv’s Tier-IV datacenter in Tarrytown, NY, the former Union Carbide World Headquarters built by IBM. Both centers reside on different power grids and Internet peering points to ensure emergency fail-over coverage. With cloud-based CoActiv archiving, you no longer have to be concerned about clumsy tape drives. All exam retrieval from the archive utilizes our high-bandwidth resources rather than expensive, and often limited, local bandwidth. All exams are also instantly available for automatic transmission to referring physicians – also utilizing our bandwidth and not yours. Alternatively, CoActiv archive solutions can be hosted in a client’s own datacenter. This can significantly reduce the cost of archiving while still providing the advantages of cloud-based solutions.